Watch the latest installment of Rick Sebak's Nebby series: That Kennywood Summer. 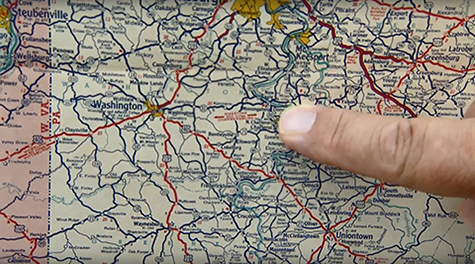 Did you miss an episode of NEBBY: RICK SEBAK’S TALES OF GREATER PITTSBURGH on WQED? Want to see it again? Thank you to everyone who pledged a contribution and made this series possible! Not NEBBY enough in the feature episodes? Check out these exciting extra scenes that didn't make the shows' final cuts! 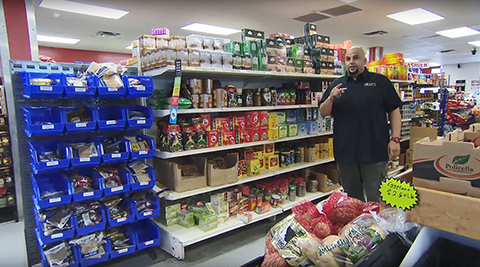 Abdullah Salem gives us a quick tour of the tea shelves in his family's international market called Salem's (2923 Penn Avenue in the Strip District.) Different people in different countries have different expectations when it comes to their favorite beverage! Salem's knows how to give its many customers a taste of home. 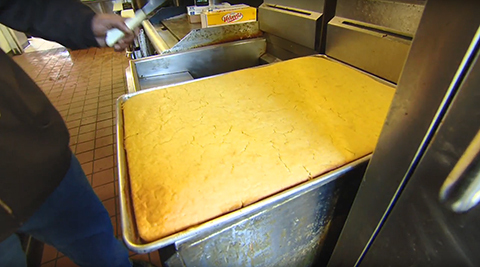 Drew Allen from Showcase Barbecue (6800 Frankstown Road in Homewood) makes some great cornbread as well as some stupendous smoked meats and tasty side dishes. He is very particular about how the cornbread is cut! You can call him the Barbecue Bully or @BigBlitzburgh fro Pittsburgh! 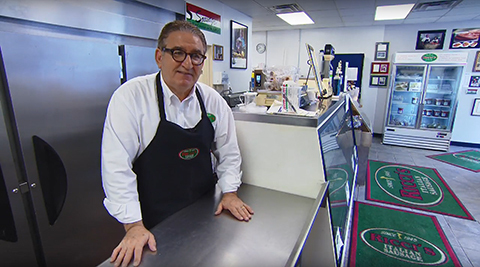 Ernie Ricci, the Sausage Prince of McKees Rocks, tells the tale of his grandmother's secret recipes and the USDA federal inspection process. Everyone knows it's that extra family touch that makes it so delicious. 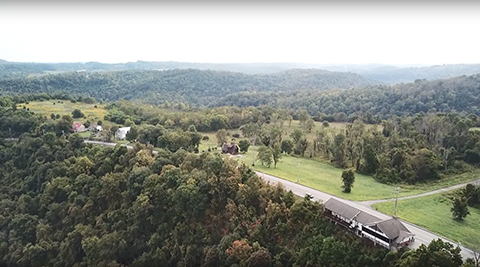 When we were at Pounds Turkey Farm in Leechburg PA just before Thanksgiving in 2017, we learned a lot, but we didn't have time in the program to include everything we learned. 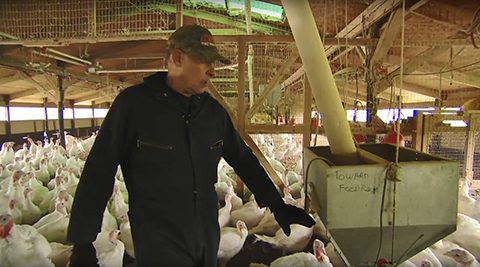 Here Rick Pounds explains how they get feed to the turkeys through an underground system of pipes. Cameraman Frank Caloiero also asks about the timetable for these hungry birds. 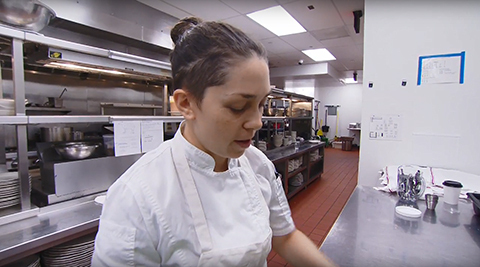 Chef Beth Zozula at Whitfield in the Ace Hotel Pittsburgh shows how she seasons and ties a rabbit loin into a cool little porchetta. 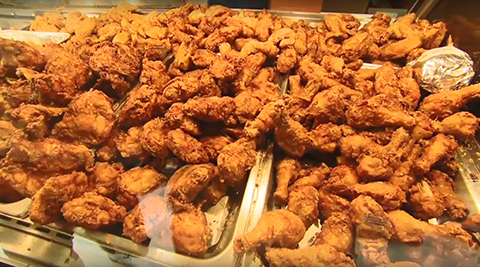 We watched this while gathering video for MEAT PITTSBURGH but couldn't squeeze this sequence into the program. Now it's a NEBBY extra! A piece of the show we ended up cutting. Because we were running long, not because this wasn't interesting and beautiful. And David Safin's closing comment is completely nebby.